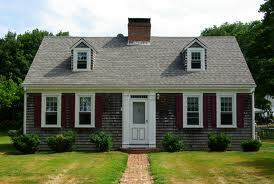 Capes or Cape Cod style houses are typical New England homes originating in the 1700. Capes are typically characterized as a story-and-a-half, low, broad wood-frame building with perfectly pitched roof, centrally located chimney, and end gables. Available cape style homes of Vermont are listed below.